Smack dab in the middle of the South Atlantic Ocean, 1,000 miles from human civilisation, lies one of the most isolated towns in the world. 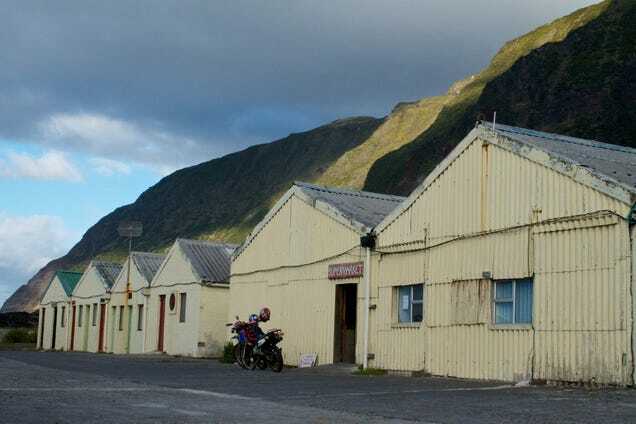 It’s called Tristan da Cunha, and for the first time, it’s looking to the outside world to plan its future. It takes more than a week to get to Tristan by boat. When you do, you might not be able to land because the ocean swells are severe. There’s no airport. It’s a location so remote and unknown, it’s become almost mythical. To geologists, Tristan is the result of an eruption of a volcanic “hotspot” in the middle of the Atlantic. To historians, it’s a time capsule where the last remnants of colonial England remains. To Tristanites — or Trist’ns as some historians call them — it’s a community that preserves a way of life they’ve chosen over the outside world. But this month, Tristan is looking to the world far beyond its tiny boundaries for help. Working with The Royal Institute of British Architects (RIBA), the local government is staging an open competition for a plan to bring the community into the 21st century and bolster its ability to sustain itself over the next few decades, using everything from architecture to energy and farming innovations. But to know why it’s asking for ideas, it helps to know a bit more about the island itself. About 300 people live on Tristan today, which is a lot considering its population has dipped far below that throughout its 200 year history. 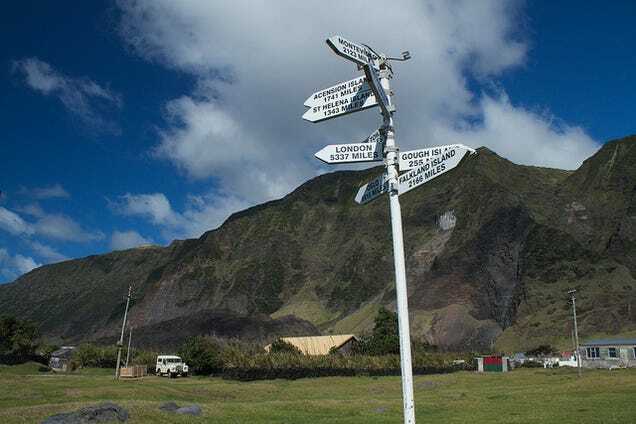 The community was officially established in the 1810s because it was “close” to St. Helena, the remote island where Napoleon was exiled, and the British thought France might use it to spring him from his prison. But Tristan is still more than 1,300 miles away from St. Helena, which would have made springing the Little Corporal out of his prison very difficult. But when the paranoia-induced outpost was eventually abandoned, a few men stayed behind, signing an agreement that designated their property and their labour shared. 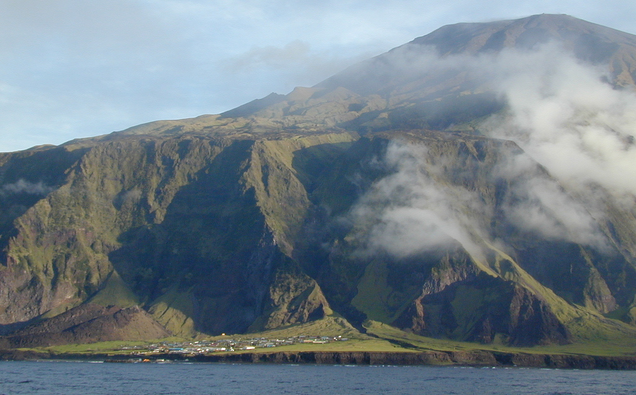 “That document, now in the British Museum in London, embodies the communal, non-competitive spirit that has characterised the culture of Tristan da Cunha ever since,” writes Donald Theodore Sanders about the island in Volcanoes in Human History: The Far-Reaching Effects of Major Eruptions. St. Helena marked in red, Tristan marked in green. Thanks to a slow trickle of other settlers, Tristan slowly grew into its own tiny community, self-sufficient to the extreme. Without regular contact with the rest of the world, settlers had only themselves and the land to depend on for everything from produce to clothing to materials with which to build boats and homes. 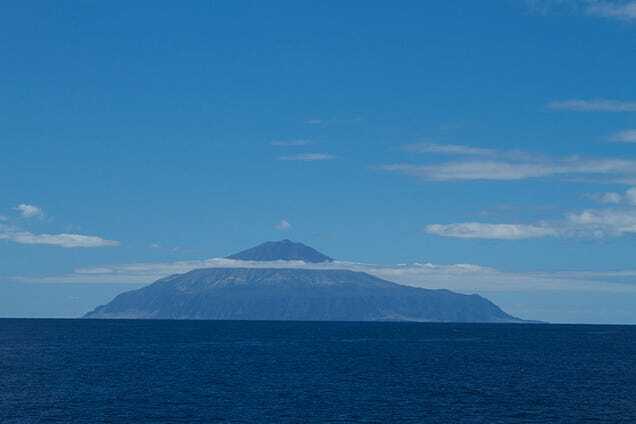 Tristan existed with relative continuity until 1961, when the volcano it sits on the edge of erupted and the entire town was evacuated to Britain. Faced with the wonders of modern life, most of the world seemed to assume that the move would signal the end for Tristan. Who would go back to a rough, remote settlement after experiencing the comforts of contemporary technology and entertainment? It turned out that modern England had the exact opposite effect on Tristan’s community. If anything, life outside their volcano only cauterised their desire to return. It “actually strengthened their group structure and consciousness and therefore placed difficulties in their expected adaptation,” writes Óscar Álvarez-Gila about the Tristanites’ time in England. [t]he Tristan Islanders did indeed return to their own simple life before the very eyes of an amazed, dismayed, and somewhat insulted Western World... It was as if our whole ethos and way of life had been put on trial, and had failed. It sounds almost utopian. But while Tristanites prefer their way of life to any other, it’s still a struggle to survive on the island — and it’s getting harder. As its 200th anniversary approaches next year, the future of the island is in limbo, and the government is inviting designers from all over the world to think about its issues. Almost every aspect of life on Tristan is fair game. For example, the island’s economy depends mainly on fishing, and the current harbour only allows docking 60 days out of the year. A better one is desperately needed. Farming is another crucial issue, so it’s asking designers to consider contemporary ideas about improving soil quality and agriculture management. Water (and drought) is also a major problem, so the brief encourages entrants to design a more modern system for maintaining and recycling water. And the houses and buildings are another issue: the current structures are decaying and inefficient, and they’re badly need an overhaul. “Construction of the houses is variable, but lack of insulation, lack of central heating, the maritime damp and mould are common complaints,” explains the organisers. Tristan also wants to kick its diesel habit, and is asking participants to help it reach a goal of using 40 per cent renewable power within the next five years. Even education is on the table, with designers asked to consider the infrastructure needed to bring vocational training programs to the island. More than 60 years ago, Tristan’s inhabitants had the chance to abandon their town and chose to return. And while it’s tempting to see the competition as asking the outside world for help after all these years, that’s not quite it. It seems internet is an easier problem to solve than specialised knowledge, which helps explain why Tristan looking to the rest of the world for ideas about how it can use design to adapt. As RIBA explains, the competition doesn’t guarantee that any of the designs will be implemented; after all, Tristan doesn’t have a budget or workforce for a massive overhaul. But what itwilldo is bring new ideas to an isolated community. It’s difficult for us to comprehend what that kind of isolation is like. On the internet, good ideas are plentiful and almost suffocatingly common. It’s hard to imagine a place where a good idea about farming or water recycling or harbour design isn’t just a smartphone button away. In the end, Tristan and RIBA are staging a competition that’s unlike any other ever held. Here’s an island that is truly isolated, with only a few hundred inhabitants, that wants to rethink what a communal, sustainable, extraordinarily self-sufficient town looks like. Let’s hope designers and architects get excited about it, because what happens on Tristan over the next few years could become a blueprint for communities all over the world. If you want to read more about Tristan, check out this account written by the wife of a clergyman who traveled to the island in the 1900s. Or head over to RIBA to learn more about the competition.